If you're a woman over 40 dreading your next mammogram, some new technology may put you at ease. 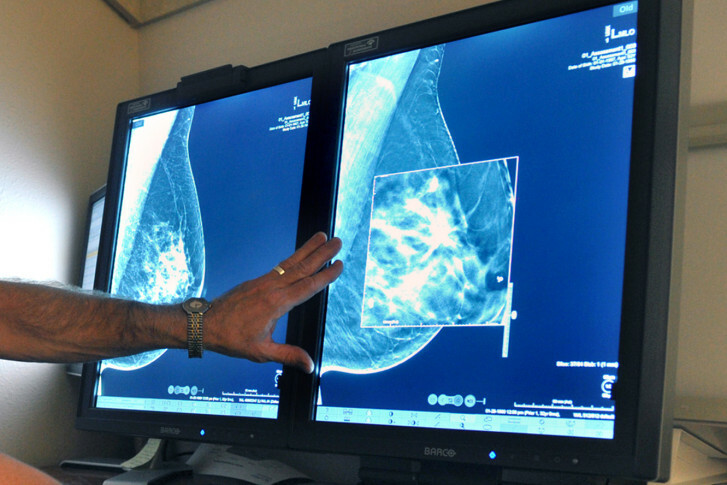 WASHINGTON — If you’re a woman over 40 dreading your next mammogram, some new technology may put you at ease. “We now have 3D mammography, which is the newest technology out when we talk about mammograms and what this allows us to do is to really see inside of the breast,” said Dr. Regina Hampton, a breast surgeon with Doctors Community Hospital. She explained that doctors take one-millimeter cuts throughout the entire breast, which they then recreate on a computer to search for anything abnormal. “We also have some things like padding of the machines so that when we put your breasts on there you have a little bit of a cushion. Unfortunately, you’re still going to get the squeeze, but the squeeze is important so that we can make sure we’re seeing just the things that are abnormal and not confusing your normal tissue with something abnormal,” said Hampton. She says breast reconstruction has also improved. Biopsies can be done in an office setting, either in a radiologist’s office or a surgeon’s office. Hampton says the procedures are called minimally invasive. “It’s done with local anesthesia. A small cut is made in the skin and a needle goes in and can take out pieces of the mass, so we can have it evaluated to determine if it’s cancer or not. If it’s not anything cancerous, then that woman doesn’t have to have surgery and have any type of scarring. And, if it is cancerous, it really allows us to plan better for the surgery so we can think about hiding the scar and really giving her the best cosmetic outcome as possible,” Hampton said. Hampton said if you have a family history of cancer, you may want to talk to your doctor about early screening.